May 15, 2014: PRIDE MONTH EVENT- St. Louis is the hometown of many noted LGBT authors who have published plays, poems, novels, and textbooks. Join Steven L. Brawley, founder of the St. Louis LGBT History Project, as he discusses local literary greats such as William Burroughs and Tennessee Williams, as well as lesser known LGBT writers. May 10, 2014: The Project was excited to recently receive an envelope packed full of 1980s lesbian party pictures from Patricia Brinson. The pictures include images from house/bar parties and sporting events. 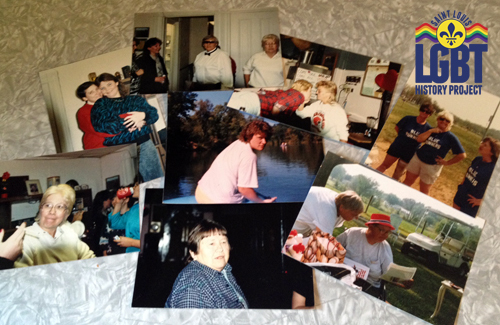 Included are pictures of Betty Neeley, Totty Dunham, Michelle Stockton, and many others. Thanks Patricia for this amazing donation. Images will be processed and posted on the Project's website photo gallery later this summer. 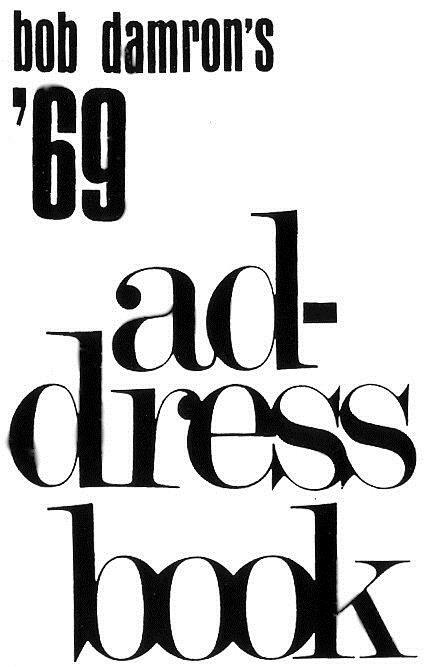 May 9, 2014: The Project thanks Gina Gatta, President and Editor-in-Chief of Damron, Inc., for proviidng scans of St. Louis' Damron listings from 1965-1979. In 1964, Bob Damron published a book of all the gay bars he knew from his constant travels across the United States. This book fit comfortably in the palm of your hand. Despite its petite size, this book was an impressive accomplishment. Each one of the listings he had visited himself. Today Damron is a world-wide resource regarding LGBT events and travel. The donated Damron listings provide a rare glimpse into LGBT life before you could just turn to Google for travel advice. The Project is analyzing the St. Louis listings to see which locaitons it has in its database, and for unknown ones. Information from the St. Louis pages will be posted to the Project's website in the near future. Thanks again to Gina Gatta and Damron for this important donation. 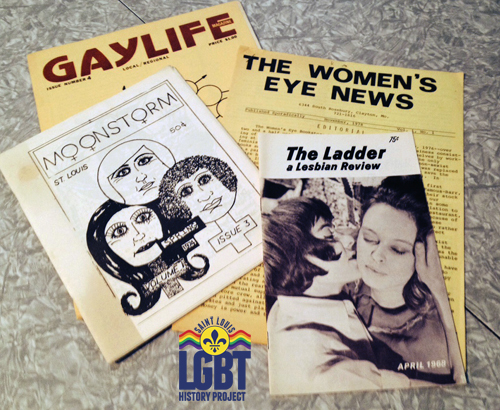 April 29, 2014: The Project has received a donation of more than 100 rare national and regional lesbian and gay magazines/periodicals dating from the 1960s to the 1990s. The important collection comes from Nan Sweet and Martha Ficklen. They had loaned the items to the Gender Studies Program at the University of Missouri-St. Louis. The Program felt the items should be stored in a safe archival environment that would still be accessible to researchers. The Project will scan the items for use on our website and for displays. 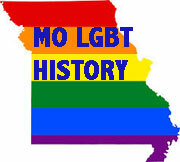 The orignals will be housed at the Missouri History Museum - one of our archival partners. Both Sweet and Ficklen have been generous donors of artifacts to the Project for several years. The Project will also be working with the UMSL program to create student educational activities to be held in conjunction with LGBT History Month in October. Thanks to Nan, Martha, and the UMSL Gender Studies Program for your support.